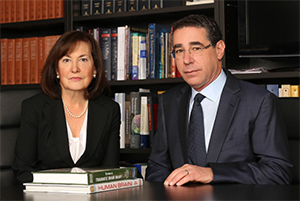 Our attorneys have the passion and persistence to take on the toughest brain injury cases—and win. Call us today for your FREE consultation. Home » Brain Injury Blog » Can brain damage be repaired? Can brain damage be repaired? Let's think of the inside of the brain as being comprised of fibers. What happens in some type of an accident, those fibers can get torn, they can get twisted, there can be injury to the brain. Those injuries are different depending upon the severity of the damage to the neurofiber, where that damage took place, and how long that damage lasted initially from the impact. Each brain injury is different, so how these injuries affect every person is also very different. There can be physical injuries, there can be cognitive problems that develop, there can be behavioral problems that develop, there can be emotional damage that takes place. Because everyone is different and because every brain injury is different, how that brain repairs itself is also different. It might take weeks, it might take months to repair, it might even take years. We're not going to see gradual changes in a lineal progression as one gets better. You're going to see some changes all at once. There's going to be a plateau. Then you might see more differences over time. We have to allow that brain to heal itself in its own time. When you retain the law firm of the De Caro & Kaplen, you retain more than just a law firm. Let us help you navigate the pitfalls of traumatic brain injury and help you and your world to recovery. Our attorneys have the passion and persistence to take on the toughest brain injury claims—and win. Call us today for your FREE consultation. How does trauma change the brain? How long after a head injury can symptoms occur? What causes loss of smell and taste? 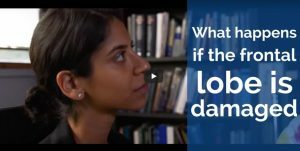 What happens if the frontal lobe is damaged? We serve the entire State of New York including New York City, the Bronx, Brooklyn, Manhattan, Staten Island and Queens. We also serve Nassau and Suffolk, Rockland, Westchester Counties, Albany, Buffalo, Rochester and Syracuse and surrounding areas. Can I change lawyers in the middle of a case?